If you didn't already know, I am a huge disney fan and I have become a recent mac fan. When I heard they had made a collection devoted to disney and it's villains I was so thrilled and knew I would be purchasing some of the collection. Heartless lipstick and Innocence Beware Lipstick. L-R Bite Of An Apple Blush, Oh So Fair Beauty Powder and My Dark Magic Mineralized Eyeshadow. Top - Bottom Hot House Lipglass, Innocence Beware and Heartless. I love the packaging I know it's not to everyones taste.My favourite products are the eyeshadow,lipglass and beauty powder.My regret is that I could get the Briar Rose beauty powder. You got a pretty good haul there! I love the look of Bite Of An Apple, the Oh So Fair Beauty Powder and the Dark Magic Mineralized Eyeshadow. 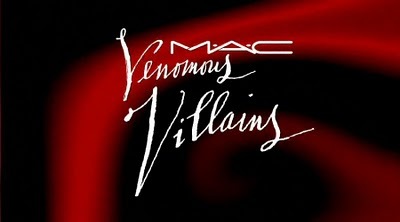 I went past the Mac counter in Debenhams last week and almost everything was sold out! I too went crazy buying their stuff.. I loved the mineralized eyeshadows. @TheBristolBeautyBlog Thanks they were belated b'day pressies from the boy. I can so believe that! @*MissK* Thank you for the follow :). What did you get from the collection ?